Mirco Antenucci's second-half equaliser for Leeds left Blackpool on the brink of relegation to League One after a 1-1 draw at a disgruntled Bloomfield Road. 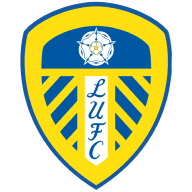 Gary Madine had given the struggling Seasiders the lead just before the break, but Italian forward Antenucci struck just after the hour to extend Leeds' unbeaten run to five games. Blackpool, the Championship's bottom side, are now 17 points adrift of safety with just seven games to go. Before kick-off there were more protests by Blackpool fans against the club's owners, the Oyston family. One banner read: 'RIP BFC: Killed by Greed 2015' before hundreds of supporters boycotted the game to watch AFC Blackpool instead. The hosts had the first chance of the game in the eighth minute as Andrea Orlandi flashed a ball across the box which narrowly evaded the sliding Michael Jacobs at the far post. Leeds almost opened the scoring in the 29th minute when Charlie Taylor dribbled down the left and dinked to the far post, where Sam Byram lashed just wide from eight yards. Lee Clark's side threatened after 32 minutes as Madine gathered the ball in the area, but his tame left-footed strike was easily held by Marco Silvestri. Leeds almost took the lead after 39 minutes when Taylor dribbled through the Blackpool defence but could not poke the ball under Joe Lewis from 12 yards. 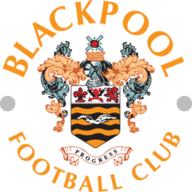 But it was Blackpool who struck first in the 44th minute when Madine put them ahead, nodding into an empty net from six yards after Orlandi's free-kick came back off the bar. The home side had a good chance to double their lead three minutes into the second half as Madine rose highest to meet Jacobs' corner, but could only head wide from 12 yards. Madine was almost in again in the 55th minute, after panicky defending from Giuseppe Bellusci allowed the striker to nip in behind but he failed to control the ball from eight yards when one-on-one with Silvestri. Leeds squandered a great chance on the hour mark when Gaetano Berardi's cross found Antenucci 12 yards out, but he volleyed just over with his right-foot as he rushed into the area. But the Italian made amends a minute later when a long ball forward found him in behind the chaotic Blackpool defence and he lobbed it over Lewis from 12 yards to equalise. The home side threatened to take the lead again after 70 minutes as Miles Addison charged forward from midfield and poked the ball on the stretch on target but Silvestri got down low to his right to hold on. Sky Tickets are giving you the chance to experience live Championship football. Buy tickets & get a free NOW TV Sky Sports Pass PLUS you could win Soccer AM tickets.